Last week, author Julian Voloj (left) joined Ray Felix (Bronx Heroes) and Regine Sawyer (Lockett Down Productions) to talk about the Bronx and Comics on Open/BronxNet TV. 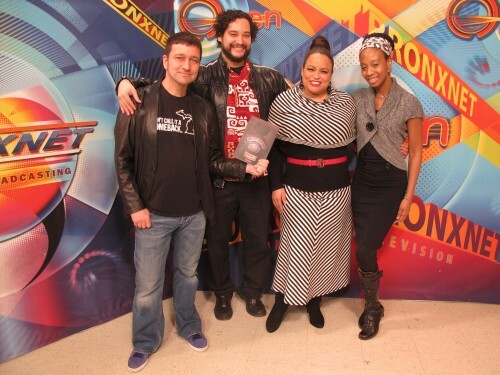 The show was hosted by Rhina Valentin (La Reina del Barrio). If you are curious to see the show, click here. The comic segment starts at about 15 minutes. Ghetto Brother will be available in May.